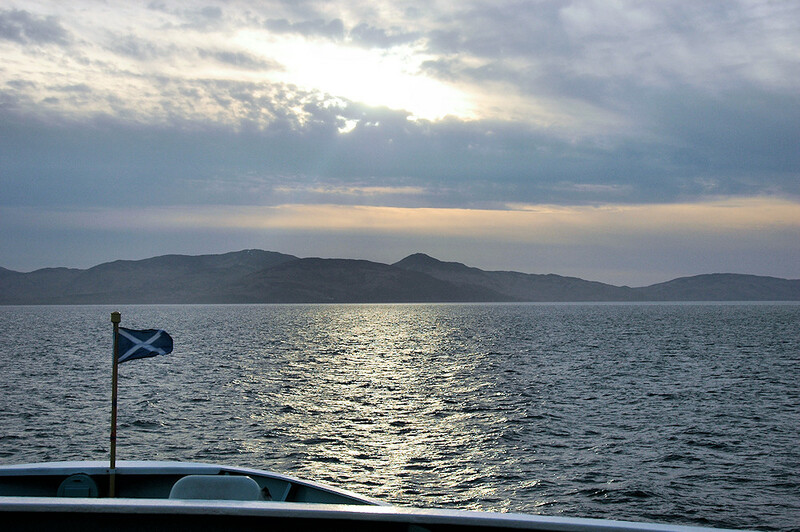 A view from the ferry approaching the Sound of Islay, the Sun breaking through just above, but Islay and the Sound are pretty much covered by clouds. This entry was posted in Cloudy Weather, Landscape, Repost and tagged ferry, Islay, Jura, Sound of Islay by Armin Grewe. Bookmark the permalink.